By 2020, there will be 10 million driverless cars on the road. 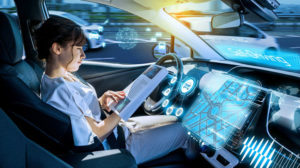 While only a decade ago driverless cars seemed like something from a sci-fi movie, many mainstream manufacturers already have the technology underway and are making huge advancements. But what exactly does this advance in technology mean? How ‘driverless’ are these cars? And what does the future hold for our transport system and roads? This post will take you through everything you need to know about driverless cars – past, present and future. Unsurprisingly, driverless technology was dreamed up by the military. America’s military dedicated huge sums of money into researching and developing unmanned trucks and vans they could use in warzones. They paved the way for this technology, but failed to create a vehicle that could drive at decent speeds and navigate real-life obstacles. So, they started outsourcing. They offered a million-dollar prize to the team that could build a vehicle capable of driving across Cali’s Mojave desert. This quickly became known as the DARPA Grand Challenge, but during the 2004 event, no one could hit the mark. Most vehicles entering the competition crashed or only made it a few yards off the starting line. But this sparked a deep desire within the technology industry to make this driverless vehicle a reality. Just 12 months later, in 2005, teams of experts had created vehicles capable of crossing the finish line. By 2007, the vehicles were sophisticated enough to avoid obstacles, drive at speed, and even abide by traffic laws. Google then launched the Self-Driving Car Project in 2009, using some of the engineers who completed the Grand Challenge. They designed and created a vehicle capable of handling California’s toughest roads with just minimal supervision by humans. Then, Elon Musk announced Tesla would roll out self-driving technology in its cars. And the technology has been evolving and advancing ever since. This technology is not only real but already on the roads. 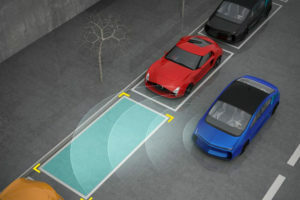 The Cadillac Super Cruise, Nissan ProPilot Assist, and Tesla Autopilot are all capable of keeping the car in its lane and a safe distance from other cars. This allows the ‘driver’ to take their hands off the wheel, provided they keep paying attention to the road and remain ready to take control if needed. Tesla are one of the leading companies in the driverless race. 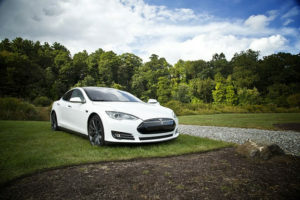 The Tesla Model S has eight cameras giving it a 360-degree view of up to 250 meters. This system uses front and rear cameras, radar, and ultrasonics to give the car as much visibility as possible. 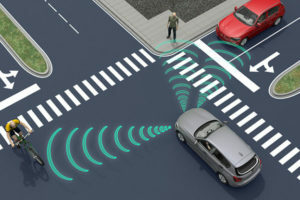 It also utilises incredibly robust processing power, which means its computer system can view the surroundings and map out a plan of the roads significantly better than a driver ever could. 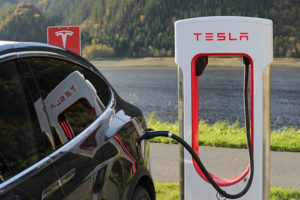 Using this advanced technology, Tesla vehicles can keep up with different speeds during traffic, keep within the lane, automatically change lanes with no driver input, exit the freeway when you get to your turning, self-park when near a parking spot and even be summoned from your garage. It has the capability of navigating smaller, more intricate roads with advanced power steering, and can watch for opportunities to move to a faster lane when you’re caught behind slow moving vehicles. You can get in your tesla, tell it where to go, and it will take you there. And if you for some reason can’t tell it where to go, it will take you home, finding the optimal route. Of course, Tesla is still subject to regulations and approval which varies widely between jurisdictions. Many of these smart features cannot be used under certain regulations in different regions. This is one of the major barriers currently in the way of full driverless technology, as we will see later. As well as Tesla, there are other manufacturers rolling out driverless technologies in some of their models. The Mercedes E-Class also keeps its position in a motorway lane at speeds of up to 130mph. And, like the Tesla, can automatically change lane if you indicate. The BMW 7 Series parks itself, even if you’re not in the car. Once you’ve driven the car into the vicinity of the parking space, you can get out, hold down the key fob, and the car will drive itself forward into the space. This feature was meant for those who park in tight garages. The Ford Focus offers advanced Active Park Assist that makes parallel parking a breeze. You simply drive past a space, hit a button, operate the pedals and the car will steer you accurately into the parking bay. And many other popular manufacturers are joining the trend of driverless cars. Uber have their sights set on driverless taxis. During trials, they fitted the cars with twenty cameras, seven lasers, GPS, radar and lidar. However, their tests were strewn with collisions, road traffic violations, and even one tragic fatality during road tests. They have currently suspended trials, however it seems that these driverless taxis may be a thing of the future. Although there are yet to be fully driverless cars on our roads, you can see there are some pretty advanced features that are getting close. How Do Driverless Cars Actually Work? These assisted cars work by combining safety features such as cruise control, lane keep assist, and automatic emergency braking. They use cameras, lidar, and radar to stay in their lane and a safe distance from other vehicles. How do driverless cars know where they are? These high-tech cars are equipped with lidar sensors (light detection and ranging). This device measures distances using pulses of light. As the car is driven around, the lidar sensors gather information about the roads and surroundings and build a map. Once the car has created an entire map, it’s then able to navigate roads without a driver, making it driverless. The cars are constantly using lidar sensors to continually track the surroundings, building up the map it uses to know where it is. Using lidar sensors alongside GPS antennas allows the car to constantly track its location and know where it is in the world. How do they “see” obstacles around them? 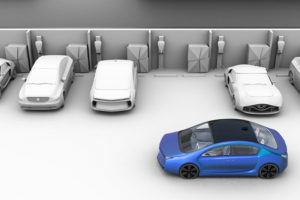 The cars use a combination of cameras, lidar sensors and radar to ‘see’ obstacles such as other cars, pedestrians, cyclists and nearby objects. 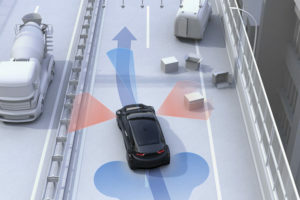 No one system is robust enough to detect all obstacles, so these cars use integrated systems to make them as safe as possible. The theory is, if one system fails to detect a danger, another system will. How do they recognise road signs and traffic lights? Driverless cars are equipped with cameras that are constantly monitoring signs, road markings and other important information. Engineers write rules the car should follow based on the information gathered. So for example, the car knows to stop when its camera detects a red light or a stop sign. How do they know to stop for pedestrians? Obviously, it would be impossible for engineers to write rules for every single situation a car might face on public roads. So what happens if a toddler suddenly runs out into the road? Engineers are now using machine learning to prepare for eventualities like this. The computers in the driverless cars analyse huge amounts of data and learn from it. For example, the system can be given thousands of photos of people crossing the road for it to learn the subtle differences it will face in the real world. How do they know the driver is alert? Different car models have different ways of checking you’re always paying attention to ensure they remain safe on the road. Cadillac allows drivers to go hands free, but uses an infrared camera to make sure they keep their face toward the road. Tesla requires the driver to touch the wheel from time to time to prove they’re awake. If you fail to respond to the warnings, the car will slowly come to a stop, assuming you’ve fallen asleep at the wheel. These cars also have different ways of getting drivers to focus. Most models beep and flash warnings, but Audi took it a step further and tighten your seatbelt and tap the brakes to make sure you’re focusing. Imagine a world where you jump in your car to go to work, and on the way you catch up on some work or read the paper. Your commute time is reduced because traffic and congestion are a thing of the past. You get dropped off outside your building while your car conveniently parks itself in a purpose-built driverless garage in a different part of town. Your insurance is basically zero, and you never hear about traffic accidents or people being killed on roads because it’s a thing of the past. 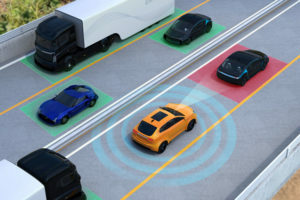 Research shows that 94% of car crashes are the result of human error, so driverless technology would drastically reduce collisions and accidents. That’s almost 300,000 lives saved each decade in the US, and a cost saving of $190 billion each year in healthcare costs. Self-driving cars could participate in a behavior known as platooning, which would significantly improve traffic conditions and congestion. This would reduce commute times in high-traffic areas and maximize gasoline usage, saving you money on fuel. 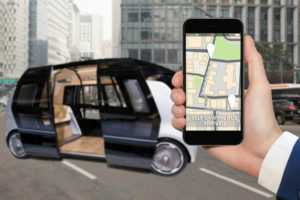 Disabled individuals who rely on public transport or assistance from others to get around could benefit from new freedom and enhanced mobility with self-driving cars, as suggested by the New York Times. Higher speed limits could be introduced, shortening travel time. Since driverless cars can calculate safe distances much more effectively, higher speed limits could eventually be introduced. Is anyone else having flashbacks to the movie iRobot? DUIs would become a thing of the past because there’s no designated driver needed in a driverless car. However, as we’ll find out later, this may be opening up a whole new can of worms. Car insurance may also become obsolete since the car would be making all the decisions. This may even be billed to the manufacturers of the car, saving you on your annual motoring expense. What’s Standing In The Way Of This Utopia? Before you head to the nearest car dealership to buy a ‘driverless’ car, there are a couple things to consider. First, no car on the market today is completely driverless. Although the technology is there, cars are still years away from being completely autonomous. So if the technology is pretty much ready, what’s holding the industry back? First of all, legislation needs to be put in place to accommodate driverless cars. Whether or not current laws cover driverless cars is causing huge debate. It could be that all new legislation is needed to fully cover this advance in technology. For example, who is responsible for a driverless car crash? What about insurance policies? 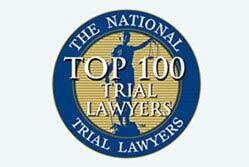 There are many legal barriers and red tape still to deal with. On top that is the issue of our current road layouts and signage. Driverless cars currently use sophisticated cameras and radar to read road signs and keep track of road markings. However, one report has shown that graffiti on road signs can confuse these sensors. During one study, graffiti stickers reading “Love” and “Hate” were stuck on a stop sign. This caused the vehicle to misread the sign as a 45mph speed limit sign. Meaning it didn’t stop at all and actually changed speed. This raises a whole new issue of whether our current road layouts and signage are sophisticated enough for driverless technology, or if this will need a modern revamp along with the emerging technology. If something as simple as graffiti can disrupt a driverless car, what other issues might we face in the future? It’s going to be decades until every single car on the road is fully driverless. In the meantime, as driverless cars become more common, they’re going to have to deal with the unpredictable nature of bad drivers. How will they respond when a driver illegally overtakes on double yellow lines? Or pulls out even though it’s not their right of way? These cars need to be smart enough to handle these situations before they’re safe to take to the roads. 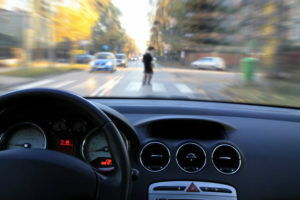 Driverless cars use high-tech systems to track and monitor the roads, signs, and surroundings. So what happens when there’s a layer of snow covering the roads, or heavy rain that makes visibility extremely low? 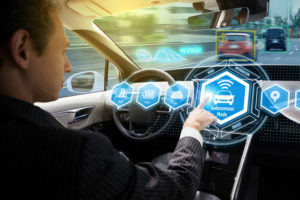 Google and other driverless car manufacturers have reported that weather was a primary cause of system failures after which drivers had to take back control of the car. This is another issue that is still being researched to find solutions. Who’s responsible for a crash? Recently, a Tesla Sedan driving with Autopilot crashed into a parked Police car in California. This raised huge concerns over the safety of the vehicles, and also caused debate on who is responsible in such an event. In another incident, a Tesla Model S crashed into a firetruck that was responding to an accident on the freeway in Culver City, California. The car was totalled as it crumpled into the back of the truck, yet luckily, no one was injured. The driver claimed the car was on autopilot, and so it wasn’t his fault. Are these issues simply a case of people expecting more of the current technology than it can currently provide? Will completely driverless cars prevent crashes altogether? These are issues that cannot be answered, and it is holding the industry back. Who’s responsible if a pedestrian is hit? In March 2018, a self-driving Uber Volvo XC90 hit and killed a woman in Tempe, Arizona. This again raised huge concern about testing driverless vehicles on roads. The tech is far from ready, so how will companies safely road-test the vehicles in real-life situations without putting pedestrians in harm’s way? And when these driverless vehicles are on the roads, who will be responsible if a person is injured or killed? This again is causing huge delays in the development of these vehicles and it’s unclear what this will mean for the future. 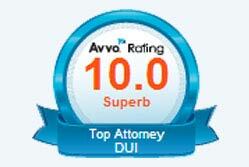 What will this mean for DUIs? A driver in another Tesla Model S sedan was arrested after he passed out drunk in his car on San Francisco’s Bay Bridge. He was two times over the legal alcohol limit, but he told the Police officers it was fine, the car was on autopilot. Of course, he was arrested and charged with a DUI. But what happens when cars become fully driverless? 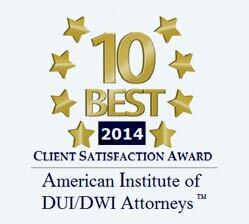 Will DUIs actually become redundant? Will we be allowed to drink and ‘drive’? 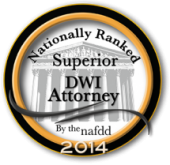 “DUI laws in most states require an element of physical control or actual driving as part of its criminal drunk driving statute. It is clear that the notion of a self-driving vehicle, by definition, does not involve actual driving. Therefore, under mos DUI state laws, as currently defined, it would appear this element would be difficult to prove. However, I would assume once these vehicles became more popular and appear more on our roadways, legislatures would be quick to formulate new drunk driving laws to encompass self-driving vehicles. 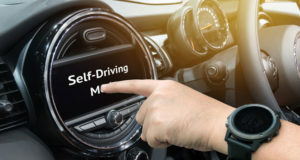 In a new Australian report, Changing driving laws to support automated vehicles, the NTC stated that asking driverless vehicle owners to be sober before getting in their vehicles is unnecessary and defeats the purpose of owning a self-driving car. They describe it as the equivalent of getting in a taxi and telling the driver where to go. But is it as black and white as that? It does seem to make sense that a major benefit of driverless cars is that we would be able to get home safe after drinking. 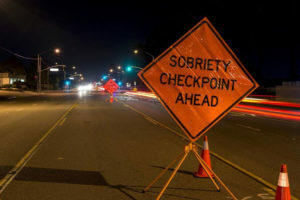 However, there is the overhanging concern that once in the car, a drunk person could override and take back control of the car, thus becoming a drunk-driver. Of course, this debate only concerns fully driverless cars, or those classed under level 5 autonomy. Which means the car is fully capable of driving without human intervention. Cars currently on the roads do not meet this specification, and so it is illegal to drive these (even in autopilot mode) while under the influence of alcohol. Those who argue against the allowance of getting in a fully driverless car while drunk argue that there will always be the small possibility you need to take over control if something goes wrong, which you would not be capable of doing in a drunken state. Yet, in america, 28 people die every day as a result of drunk driving crashes, and it has been suggested that driverless cars would drastically reduce accidents. So would the benefits outweigh the risk? This one seems to be a debate that has no solid outcome right now. Only time will tell how regulations will alter to accommodate driverless cars under DUI laws. It’s safe to say that driverless cars are going to be the norm in years to come. What’s still unclear is what a future with these autonomous vehicles will look like. It seems there will be a few hurdles to overcome before we see anything like the Utopia these advances in technology could bring.